It’s never a bad time for a cookie. Warm, just sweet enough, fresh from the oven… man, I could totally use a cookie right about now. How about you? Yeah? Excellent. Just hand over your address, mother’s maiden name, and the last four digits of your SSN and you can have this fresh hand-made dessert for free. Wait, what’s that you say? Yes, all this personal information does seem like too high a price to pay for one baked confection, no matter how delicious. And yet it was a deal that nearly 400 people were happy to make. ProPublica brings us the story of an artist in New York who wanted to see just how much personal data people were willing to part with when asked. In “a highly unscientific but delicious experiment” called “Please Enable Cookies,” New York-based artist Risa Puno took a few hundred hand-made gourmet cookies to a Brooklyn arts fair. 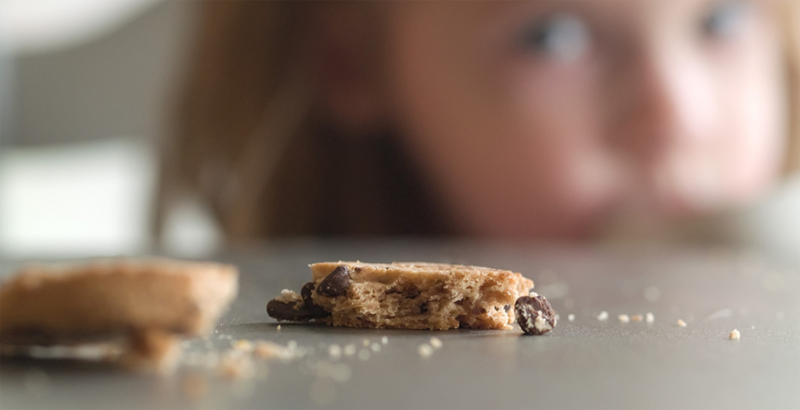 To get a cookie, would-be snackers had to provide her with personal data ranging from their address and phone number to driver’s license number and mother’s maiden name. All told, 380 people traded some piece of personal data for sweet treats. Over 50% of the people Puno saw that day allowed her to take photos of them. Just under half gave the last four digits of their social security numbers (or at least, as ProPublica points out, what they said were the last four digits of their SSNs). About a third even allowed Puno to take their fingerprints. But in more scientific or real-world cases, people are still pretty willing to part with their data if they think it will get them something, researchers have found. Americans say they value privacy, but our actions show otherwise. In one experiment, one group of people were given a free $10 Visa gift card and told their spending would be anonymous. Another group was given a $12 gift card and told their purchases would be tracked. The groups were then given an opportunity to trade gift cards. It turned out that the vast majority people with the higher-value but tracked card were not willing to give up $2 for privacy. But about half of the people who started out with the higher privacy lower value cards wanted to keep them. And that finely-honed Brooklynite sense of modern irony may have played a role, too. Plenty of purchasers didn’t even eat their cookies, as Puno pointed out. They “bought” them so they could post photos on Twitter and Instagram saying things like,”Traded all my personal data for a social media cookie,” or to get that perfect silhouette framed just-so against the Brooklyn Bridge. Can Danish Butter Cookies Come From Indonesia?